The Investigators: Wrong-Way Driver Report Prompts Change in Mass. The NBC Boston Investigators prompted change from Massachusetts officials after an exclusive investigation into wrong-way drivers. With so many people dying on roads in Massachusetts, we asked how many more incidents need to happen before something is done. In Massachusetts, the entrance and exit ramps are often side by side. Only a red sign in the middle is separating a driver from making a split second mistake and heading the wrong way onto a collision course. "Every time a tragedy occurs, it is too many," Rep. Bill Straus, D-Bristol said. 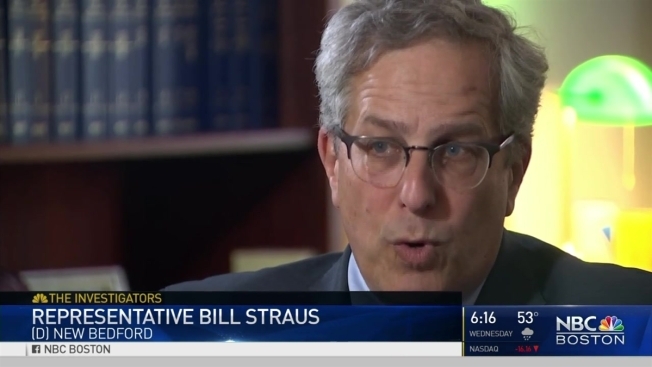 Representative Straus says after our NBC Boston Investigation, he will draft legislation this month to force the state to prioritize the most dangerous areas. "I think frankly, the attention the broadcast and the attention that's more recently been brought to this, makes it an obvious priority," Straus said. The NBC Boston Investigators found the state doesn't track wrong-way drivers, so The Investigators looked through thousands of citations. 13 people died in wrong way crashes last year, alone. The research also found over 400 other wrong-way incidents in recent years. The Investigator report highlighted one solution in Rhode Island. They added flashing LED lights to 24 intersections. If the car keeps going, all drivers are alerted to get off the road. "We've had no crashes, no accidents, no fatalities," Bob Rocchio of Rhode Island DOT said. "It's not that hard from a technical standpoint to get the kind of warnings out there to the public." The NBC Boston Investigators took the issue to Massachusetts Gov. Charlie Baker, asking about the 13 deaths and when will the state step in and do something about it? "We actually did change all the signage associated with all our on ramps," Baker said. The governor says Massachusetts lowered 350 signs to driver eye level and MassDOT is reaching out to its neighbor. "Rhode Island is one of the states we are talking to," he said. "I do think that is something DOT and our folks should look into." In fact, MassDOT went to Rhode Island the day after our investigation aired and two months after we first started questioning MassDOT why more isn't being done. Rep. Straus couldn't predict when Massachusetts will see a major change or effort like Rhode Island from the legislation he is drafting, but did say, "I couldn’t predict that, but MassDOT gets a lot of money every year to do road improvements." The cost for 24 LED flashing signs in Rhode Island was $600,000.